We oftentimes hear people talk about showing love to others. They say that all we need is love (hmmm…sounds like a song). Many people believe they know what love is when they are really only living by certain feelings that they call ‘love’. Everyone wants to be loved and most people want to love others in return. However, do we really know what love is? The Bible speaks many times about love, and what it is. Let us look at a biblical definition of love and see in what ways it is different from its worldly counterpart. God does not select only the beautiful people, or the rich, or the successful to love; He loves the world. He loves us so much that He gave His Son in order that the world could be saved, “For God so loved the world, that he gave his only Son, that whoever believes in him should not perish but have eternal life. For God did not send his Son into the world to condemn the world, but in order that the world might be saved through him” (John 3:16-17 ESV cf. John 1:29). Notice that God’s love is for everyone in the world; whoever believes in Him. We are to love others as God loves us. We are not to pick the nicest looking, most prestigious and popular people to love. God’s word even tells us to love our enemies (Luke 6:27-36). Jesus is our example and, as He was being crucified, He said, “Father, forgive them, for they know not what they do” (Luke 23:34 ESV). Many times, the world’s idea of love is to love those who can further your career or those from whom you can get something that you need. This is not a godly love. “For one will scarcely die for a righteous person—though perhaps for a good person one would dare even to die— but God shows his love for us in that while we were still sinners, Christ died for us” (Romans 5:7-8 ESV). 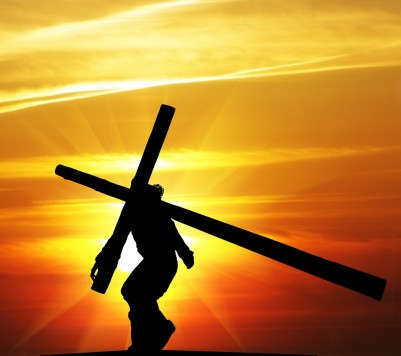 Jesus Christ, God in human flesh, endured the pain of the cross (Hebrews 12:2) because He loves us. Jesus gave up His place with God in heaven in order to come down to earth, experience humility, shame, suffering, and death; so that anyone who trusts in Him will be forgiven of their sins and can enjoy the close personal relationship with Him for which they were created. It is astonishing that He did this voluntarily; motivated by His love for us. Worldly love is selfish, self-serving, and cares more for what it gets from a relationship than what it gives to that relationship. Many marriages and friendships fail because this is the type of love the participants exhibit. Only when relationships are built on God’s love will they flourish. The apostle Paul, writing to the Roman Christians, assures us, “For I am sure that neither death nor life, nor angels nor rulers, nor things present nor things to come, nor powers, nor height nor depth, nor anything else in all creation, will be able to separate us from the love of God in Christ Jesus our Lord” (Romans 8:38-39 ESV). God’s love is sure. God loves us whether we respond to Him in love or not. His love for us is not based on our response, but on His character. The Bible says that God is love (I John 4:8, 16). Now, this does not mean that because God loves everyone people do not have any responsibility to respond to His love. What it means is that God is always ready to wrap us in His loving arms when we turn to Him in repentance and faith. Many times, worldly love is fickle. Those who claim they love us are there during the good times, but are conspicuously absent when the going gets rough. God will not leave us in the tough times. Jesus promise is, “I will never leave you nor forsake you” (Hebrews 13:5 ESV). God became personally involved in our salvation. The entire biblical record shows us that a large part of God’s character is that He is personal. He did not simply lay down a set of rules to follow and then sit down in Heaven to watch us attempt to keep those rules. On the contrary, the rules God gave were given to reveal to us the fact that we are unable keep enough rules to be holy, rather what makes us holy is a personal relationship with God. From Genesis to Revelation the witness of God’s Word is that God is a personal God who desires to have a personal relationship with every one of us. Worldly love is oftentimes impersonal; it attempts to mimic true love by giving money instead of offering someone a shoulder to lean on. It calls itself ‘tolerant’ while overlooking all kinds of sinful and destructive behavior in the name of ‘love’. Only by knowing God, His character, and His Word, can we hope to understand even a small part of just how great God’s love is. Only by trusting in His Son, Jesus Christ, can we become an overflowing vessel of that godly love to share with a lost and hurting world. The secular world has constructed an idea of love that is moving further and further away from true love that is found only in God. As with many things, godless people attempt to construct a false imitation of the reality. When it comes to love, humanity’s version is but a pale shadow compared to the truth of God’s love. The apostle Paul wrote a passage in First Corinthians that contains a concise picture of true love, God’s love: “Love is patient and kind; love does not envy or boast; it is not arrogant or rude. It does not insist on its own way; it is not irritable or resentful; it does not rejoice at wrongdoing, but rejoices with the truth. Love bears all things, believes all things, hopes all things, endures all things” (I Corinthians 13:4-7 ESV). This is God’s love and it is this type of love that God would have us show to others. Would you like to read more about love? Great article Robert, and I love you. You are absolutely right. If it weren’t for God’s love, there would be no love. Bless you. Great job on a hard topic. Most people don’t understand what genuine, true love is. God bless you brother! Why He would first love us is beyond me, while still enemies. As always, your work is theologically sound and edifying Robert. That is truly amazing that God would do that! To think that before anything was created, God knew in advance how corrupt and sinful mankind would be and He already had a plan for redemption ready! Before man’s first breath, Jesus was there and ready to bear the cross for us all. What an awesome gift! I cannot wait until the first moment when I cast my eyes on Jesus in heaven. True love made complete! It sounds like you have a loving Christ-centered outlook on life. I’m sure anyone who knows you feels loved. Thank you so much. My goal is to serve Jesus with all my life. It encourages me when I know that my service has encouraged someone else. Hi, i read your article and was encouraged. I’m on a quest to find and live in God’s love. is it possible that earthly love is limited by understanding? Thank you for reading and commenting. Your question is a good one. It appears, since God is love (I John 4:8), that any lack of love we might experience may be because we are not close enough to Him. As we allow the Holy Spirit to fill and guide us, we become a conduit for His love…the more fully we are submitted to Him, the more easily His love can flow. I hope this helps and encourages you, and others, to seek God’s presence even more. God bless you. Great article! I stumbled across it while preparing a sermon on the world’s perspective of love and I’m richly blessed by it. Grace to you Robert! But how do you interpret “love your neighbour as you love yourself” ? hello Mellows. You take care of yourself and make sure you are never hungry and always have the necessities of life because most of us love our lives so if we take such good care of ourselves, we must love our neighbor with action, meaning words are cheap but actions speaks loud and loving our neighbor is helping our neighbor.